Weigh your ingredients. That’s what baker’s do. Weighing is the only way to get consistent results. An electronic scale is easy to use, relatively cheap and durable. But if you must use measuring cups, here are a few essentials when measuring flour by volume. 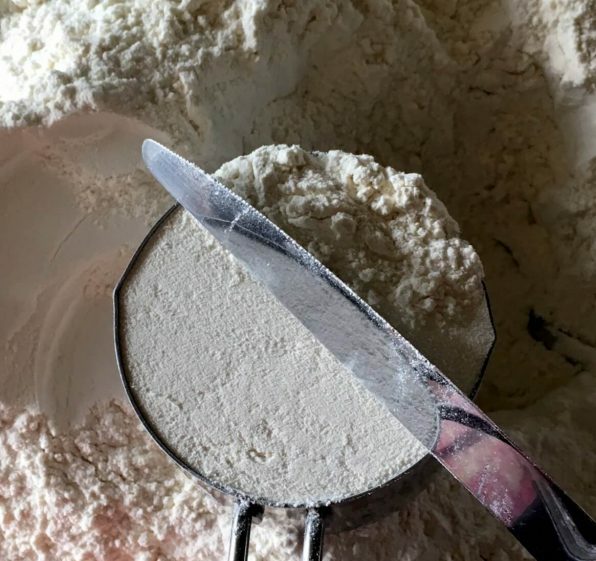 Use dry measuring cups for dry ingredients like flour and sugar. Reserve the clear glass or plastic measuring cups for liquids. 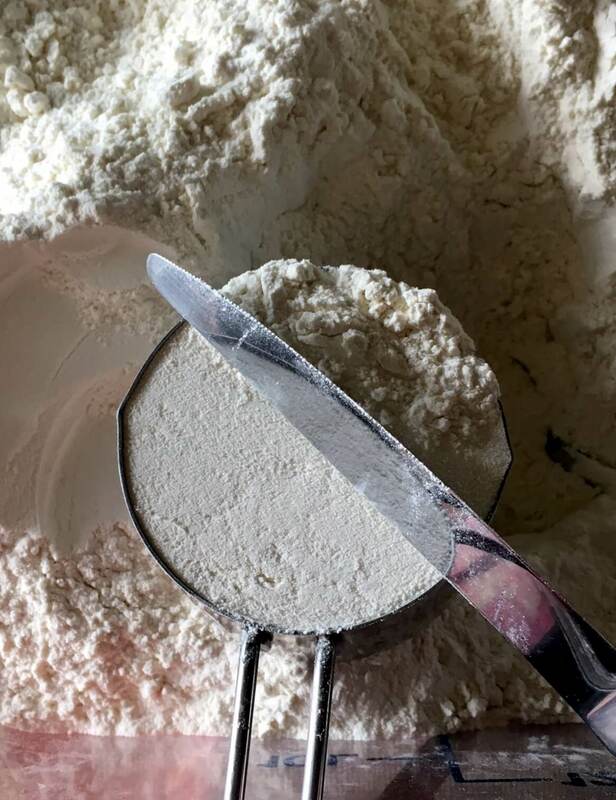 A one-cup household measuring cup holds from 3 ½ to 5 ounces of flour depending on how you fill it. Use what I call the Fluff, Spoon and Scrape method to get somewhat accurate results. First, fluff the flour with a fork. If for some reason your flour is especially lumpy, sift it. 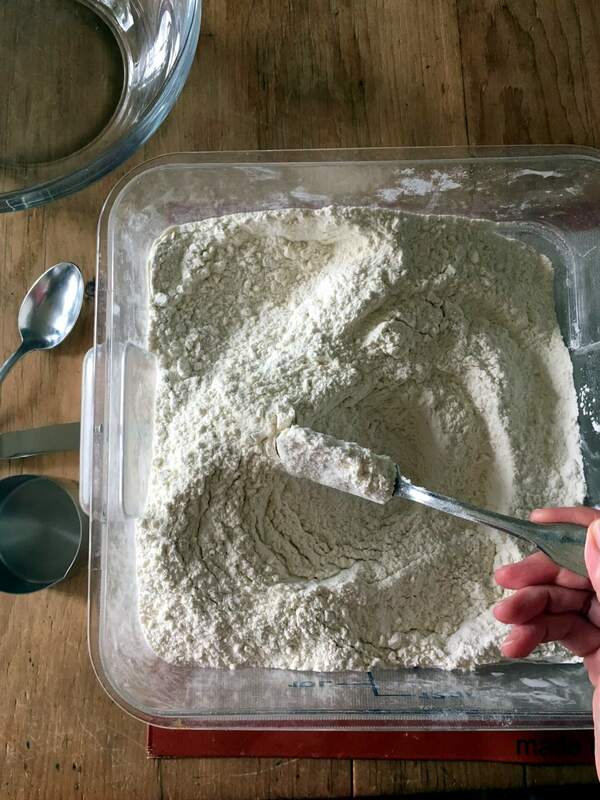 Next, spoon the flour into a dry measuring cup. Fill the cup to overflowing. 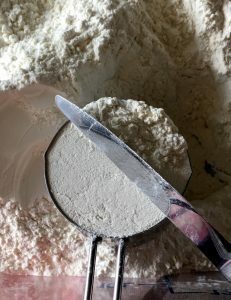 I usually hold the measuring cup over my bucket of flour when doing this. Then scrape the flour with the back of a knife. Now you will have one level cup of flour. 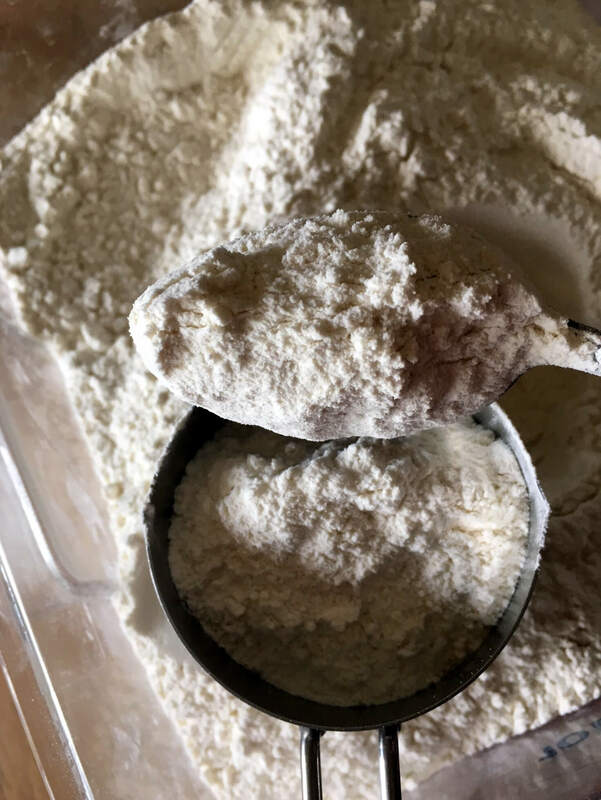 I consistently get 4 ½ ounces of all-purpose flour from a 1-cup measure. Of course there may be variations in brands of measuring cups. That’s a project for another day. Don’t forget to enter the Bread Makes the Meal Recipe Contest created to celebrate making bread at home.